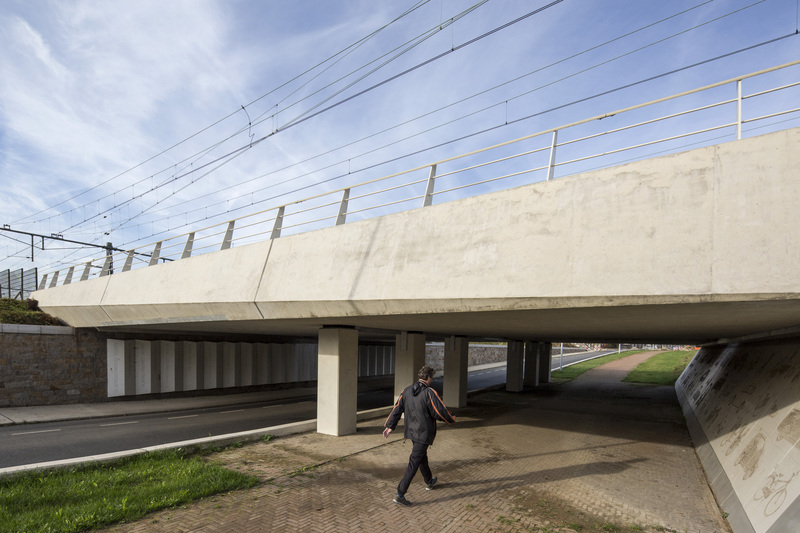 A new rail underpass connects the neighborhoods Limmel and Nazareth in Maastricht. Bicyclists and pedestrians now reach the shopping center using an attractive and safe route. The Maastricht neighborhoods Limmel and Nazareth share a new shopping center. 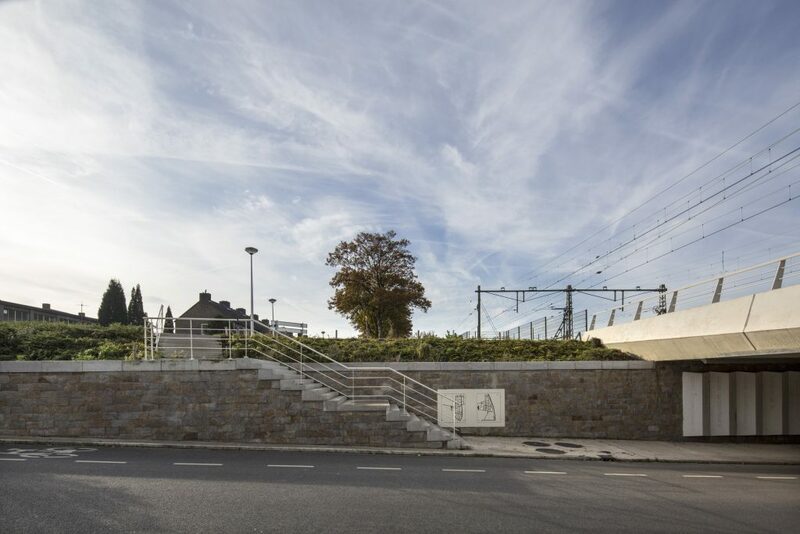 To provide easy access to the center for everybody, a railway underpass was created. 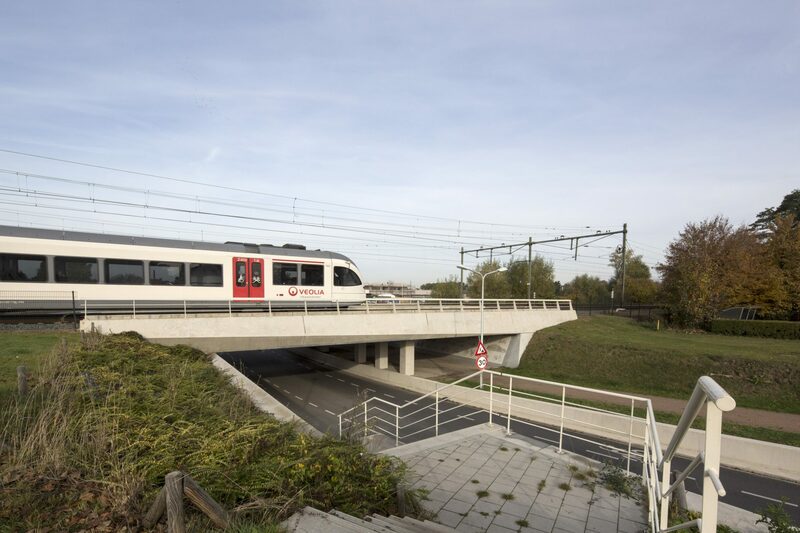 The overpass junction replaces a single-level crossing. A roundabout and a long, easy bend naturally lead the people of Nazareth to Limmel. 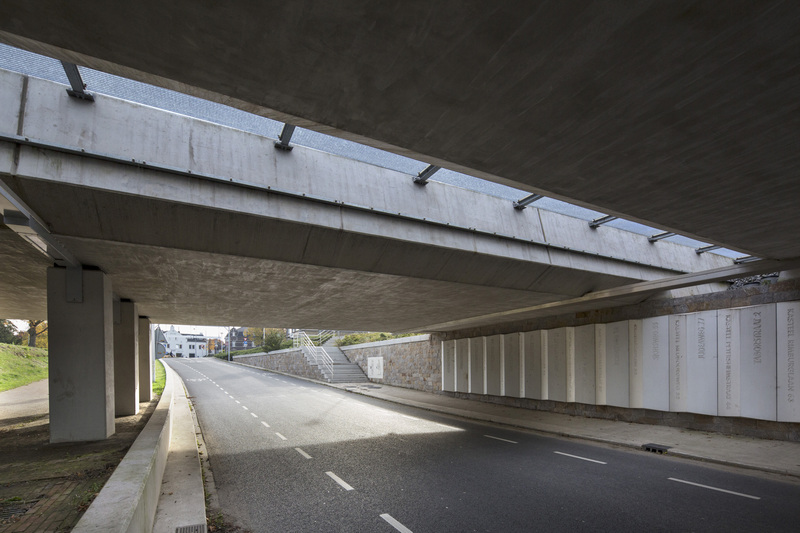 The overpass is asymmetrical. The bridge seems to carry itself on the north side and leans on a retaining wall on the south side. The edge of the deck makes the beams look slimmer. 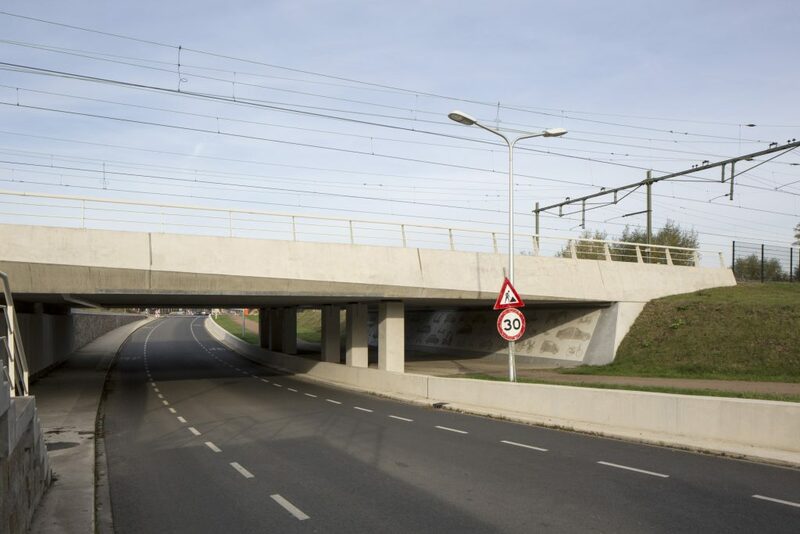 This emphasizes the underpass rather than the bridge. 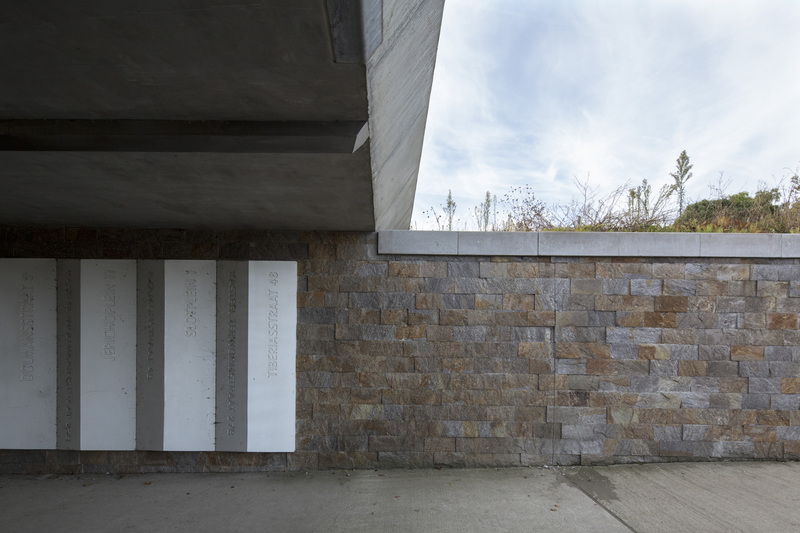 The height difference at the southern end of the bridge is filled with a concrete retaining wall and a stairway, that are textured with natural stones that match the surroundings. Pedestrians are guided to the shopping center by a broad footpath that leads directly from the underpass to the entrance of the shopping center. Between the beams is an open space, allowing daylight to penetrate. This makes the tunnel a lot safer. 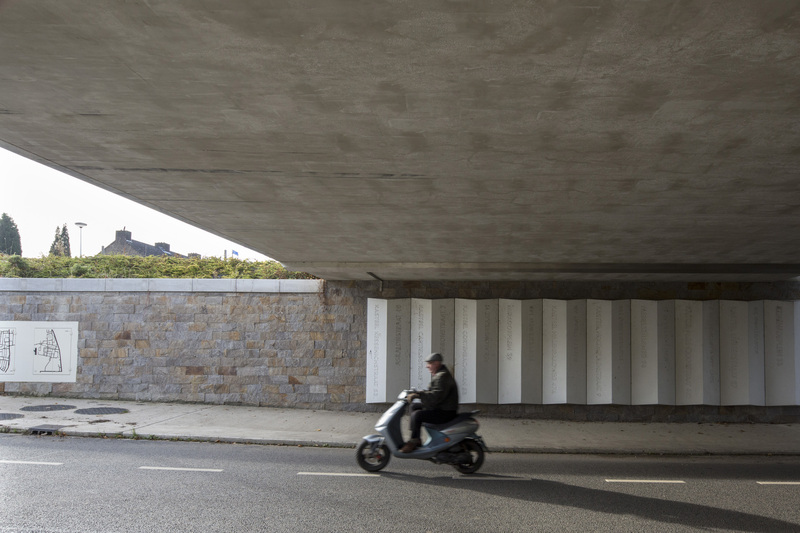 Michiel Kluiters created the artwork on the walls of the underpass. 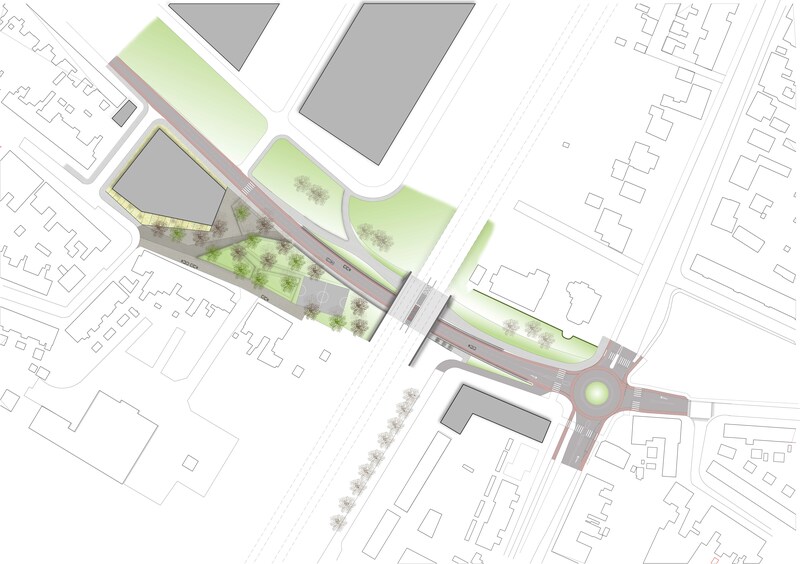 The work depicts the connective quality of the junction. A roundabout and a long, easy bend naturally lead the people of Nazareth to Limmel. Between the beams is an open space, allowing daylight to penetrate. Pedestrians are guided to the shopping centre by a broad footpath. 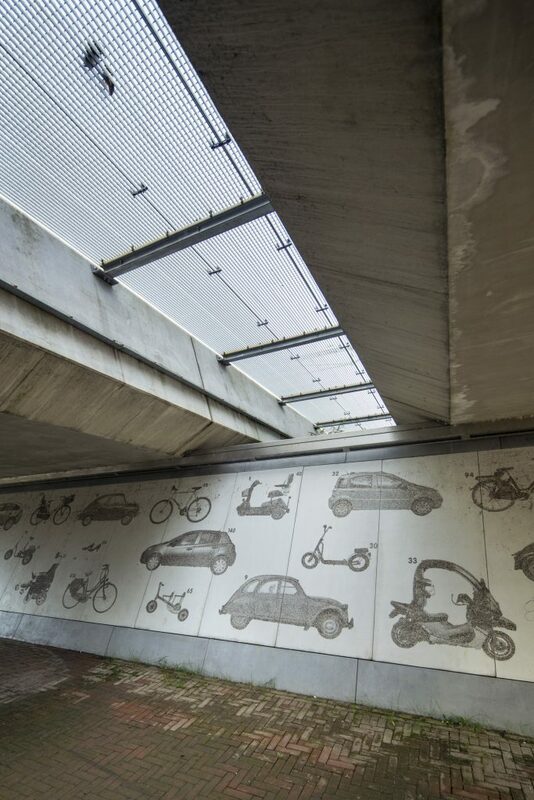 Michiel Kluiters created the artwork on the walls of the underpass.